Simon Phipps is a digital economy specialist and founder of Public Software CIC and Meshed Insights Ltd. As well as OSI, he is also a pro bono director of the Open Rights group and of The Document Foundation. He worked with OSI standards in the 80s, on collaborative conferencing software in the 90s, and helped introduce both Java and XML at IBM. In 2000 he joined Sun Microsystems where he oversaw the conversion to Free software of the Java platform, Solaris UNIX, the SPARC architecture and the rest of Sun's portfolio, all under open source licenses. His personal home page and blog is http://www.webmink.com. Pamela S. Chestek is the principal of Chestek Legal in Raleigh, North Carolina. She counsels creative communities on open source software, brand, marketing and copyright matters. Prior to returning to private practice, she held in-house positions at footwear, apparel, and high technology companies and was an adjunct law professor teaching a course on trademark law and unfair competition. She is a frequent author of scholarly articles, and her blog, Property, Intangible, provides analysis of current intellectual property case law. Pam has a Bachelor of Fine Arts from Penn State and a Juris Doctor from the Western New England University School of Law. She is admitted to practice in Connecticut, the District of Columbia, Massachusetts, New York and North Carolina, and has been certified by the North Carolina Board of Legal Specialization in Trademark Law. Hong Phuc Dang founded FOSSASIA in 2009 as a community devoted to improving people’s lives through sharing open technologies, knowledge and fostering global connections. Over a decade, she steers the organization, directs project teams, runs events and education programs, encourages open source participation across Asia. Hong also acts as an InnerSource manager at Zalando where she helps to bring open source best practices within the corporate walls and supports the company to become a good open source citizen. Molly de Blanc is a free and open source software activist. She currently works at the GNOME Foundation. Previously the campaigns manager at the Free Software Foundation, Molly is concerned with the intersection of technology, rights, and society. In addition to her work with the OSI, she is a Debian Developer (non-uploading) working on the Anti-Harassment and Outreach teams. Christine Hall is a journalist who covers open source for Data Center Knowledge, as well as Linux, containers, virtual servers, HPC, and HCI for ITPro Today. In addition, she edits and publishes the free software site FOSS Force, is a member of the Internet Press Guild, and an occasional contributor to Linux Journal. She has been an open source advocate since 2002. Chris Lamb is the current Debian Project Leader, a life-long GNU/Linux user, the primary author of dozens of free/open-source projects & contributor to 100s of others. After working in the London tech scene, Chris become a freelancer and is relishing the opportunities this has offered him with respect to contributing more to the open source community. Within Debian, Chris is part of the team that interprets the Debian Free Software Guidelines (DFSG) as well as heavily involved in tooling for improving software quality. He has also highly active in the cross-distribution Reproducible Builds effort for which he awarded a grant from the Core Infrastructure Initiative. Faidon Liambotis is a systems engineer, software developer and free software hacker. He has been using, advocating for and contributing to free/open source software since the early 2000s. He has been a volunteer contributor and member of the Debian project in various capacities since 2006. Since 2012, he has been working for the Wikimedia Foundation, the non-profit organization that supports Wikipedia and the other Wikimedia free knowledge projects, most recently as a Director of Site Reliability Engineering. Patrick Masson joined the Open Source Initiative as General Manager in November of 2013 after working in higher education technology for over twenty years, including roles as Director of the UCLA Media Lab, CIO within The State University of New York, and most recently, CTO at UMassOnline. Patrick is an Adjunct Professor at the University at Albany, teaching Open Source Principles and Practices within the College of Engineering and Applied Sciences' Department of Informatics. 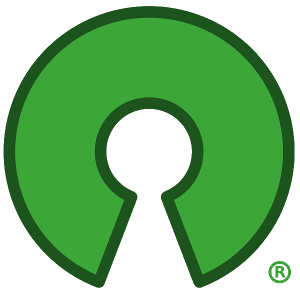 Patrick has worked to promote the awareness and adoption of open source, particularly within education, throughout his career. He served on the Jasig Foundation's Board of Directors, and is currently on the Apereo Foundation's Advisory Council as well as Brandeis University's Graduate Professional Studies Advisory Board. He is the co-founder of the Educause Constituency Group on Openness. Patrick was also elected to his local Board of Education in 2014. Josh Simmons is a web developer, community strategist, open source advocate, and speaker with a penchant for armchair philosophy. Josh began working with open source technology as a child and started in community work shortly thereafter. He began giving back to his local community in 2011 and the global community in 2013 -- first with code, then through advocacy and community management. Josh served as O'Reilly's community manager for OSCON from 2013 to 2016 and began a new adventure at Google's Open Source Programs Office in 2016. You can learn more about him at joshsimmons.com and follow him on Twitter @joshsimmons. Carol Smith is a an open source program manager currently at Microsoft. She has worked in technology for more than 14 years, helping to build networks for Google's datacenters, managing Google Summer of Code for 6 years, and overseeing the GitHub Student Developer Pack for almost a year. Her expertise in people and systems is part of why she is so interested in making technology more accessible to under-represented groups. She served on the Board of Directors for the Metabrainz Foundation as Secretary and Treasurer for 7 years and has also trained as an anti-domestic-violence counselor. Carol is an avid cyclist, cook, and horseback rider. You can follow her on Twitter at @fossygrl. The OSI web support team includes members of the infrastructure committee. Special thanks Gandi.net who has generously provided hosting services for OSI's website. See the list of people who have previously served on the OSI board.